My high school interest in the stock market led me to major in Finance in college. Hoping to learn juicy insights into beating the stock market, I was instead taught the efficient market hypothesis, or EMH. The efficient market hypothesis states that markets are largely efficient at assessing risk and dishing out returns. Over time, equities perform better than other asset classes because equities are riskier than other asset classes. Returns are a compensation for risk. Basically, business students pay a lot of money to learn that they don’t have a chance against an index fund. Fortunately, I went to a state college for this advice. Eugene Fama and Kenneth French, the architects of EMH, performed research which showed that value investing delivers higher rates of return but attributed this to the increased riskiness of value investing. Value investors disagree and contend that their approach actually reduces risk because they demand a margin of safety from their investments. I find it difficult to believe that the underlying value of these business experienced such a wild fluctuation in the last calendar year. Did the actual underlying economic output of the United States experience such wild swings over that time period, as the markets seemed to believe? U.S. Bureau of Economic Analysis, Gross Domestic Product [GDP], retrieved from FRED, Federal Reserve Bank of St. Louis; https://fred.stlouisfed.org/series/GDP, December 31, 2016. It certainly doesn’t look like the actual economy of the United States experienced anywhere near the wild volatility that the United States markets experienced from 1990 to 2016. I don’t believe that the markets are efficient. It seems to me that Ben Graham’s characterization of Mr. Market, the crazy manic depressive shouting prices for businesses based on his mood, is closer to reality than the efficient market popularized by EMH. I believe that astute investors can find mispriced stocks. Fortunately, most of the investing community believes in EMH because this is what is written in Finance textbooks. This a good thing. The more people that believe that markets are efficient, the less competition there will be for value investors. Market prognosticators frequently opine in the direction of the markets based on public policy, what Millennials are doing, whether Euro will do this and the Yen will do that, who won the Super Bowl, if it is an election year, etc. They have no idea what they are talking about. The more accurate forecast models take a hard look at value. One method is the Shriller P/E. It was designed by Yale economist Robert Shiller. Looking at the market in terms of the current P/E can be misleading depending on where we are in the business cycle. For instance, during a recession, earnings plummet and P/E ratios rise even though the market may be undervalued. During a boom, earnings are temporarily inflated, which can cause the market to appear cheap when it may in fact be quite expensive. Shiller accounted for this by comparing price to average earnings over the last 10 years, accounting for the impact of economic gyrations. Gurufocus maintains a nice tracker of the Shiller P/E here. 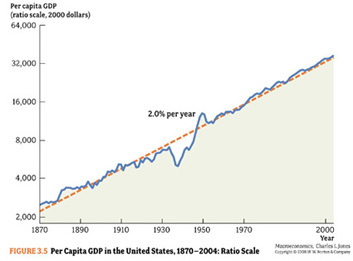 A better method is looking at the market in terms of its value in relation to GDP. Buffett popularized this method in a 1999 article in Fortune. Buffett was able to use market valuation as a percent of GDP to assess market values. He assessed the market correctly at the time and declared the market to be overvalued. The methodology is easy to understand. The market derives its value from earnings and US companies can only earn what the US economy can actually produce. Gurufocus maintains a tracker for this metric here. The GDP method is more accurate than the Shiller PE, but it is still an imprecise instrument. For instance, the GDP model predicts a range of returns over the next 10 years of +4.6% to -8.2%. Recently I came across a market valuation model that was even more compelling at the Philosophical Economics blog. This model instead looks at the average equity allocation. The idea is that during a bull market, valuations increase as investors move their money from other asset classes into stocks. As the equity allocation increases, the market runs out of fuel for higher valuations and future returns are diminished. The key reason this makes sense is the relationship between interest rates and returns. As interest rates rise, it seems natural that investors would decrease their equity allocation and put more of their funds towards bonds. If bonds are dishing out high rates of return for little risk, why take the risk of owning equities? This is precisely what happened in the 1970s and early 1980s, when interest rates soared and equities were punished. It also set the stage for an extraordinary period from 1982 to 2000, in which declining interest rates from historic highs fueled one of the greatest bull markets in history. Interestingly, as Buffett pointed out in the earlier referenced 1999 article, earnings and economic growth were actually less in the 1980s and 1990s than they were in the 1960s and 1970s. The only difference between the two periods is the direction of interest rates. The metric is tracked here and is updated quarterly. If the equity allocation were to rise to 45%, that implies that the next ten years will deliver a paltry 1.5% return. That would hardly seem sufficient compensation for the volatility risk in equities. Generally I like to remain agnostic about the market and focus on bargain stocks. However, my 401(k) plan is dedicated to index funds and I think it makes sense to look at market valuations. An overvalued market combined with an overheating economy is certainly cause for concern and something investors should remain cognizant of. The model described in this post should reduce your fears when the market drops. A market drop simply means that future returns are going to be higher. Drops in the market are cause for celebration, as you can now buy stocks that will deliver a higher rate of return. I would certainly buy more if the market were to plunge 50% tomorrow. I’d also probably start scrounging whatever cash I had on hand and piling into the market.